The Axis South Tower is a 39 story building in the Brickell area, one of two buildings conceived by the same individuals responsible for the Blue condo. Axis condo has a variety of living options from one bedroom units with spacious layouts to three bedroom units in a building that's just a few blocks from Biscayne Bay. You'll also find plenty of retail on the ground floor including a restaurant that's right around the corner. The majority of the Axis South Tower's amenities are found on the seventh floor which is where you'll find the infinity edge pool complemented by tropical landscaping and daybeds. The building also has a library, a theater, business center and the convenience of 24 hour security and concierge. The Brickell condos for sale of Axis South Tower have wraparound balconies that provide views of the city. You'll quickly notice that the Axis South Tower is one of the closest buildings to Mary Brickell Village, full of bars and restaurants and generally a great spot to socialize with friends, family or co-workers. You can also walk to the Metromover station nearby and explore neighboring areas without having to deal with traffic. 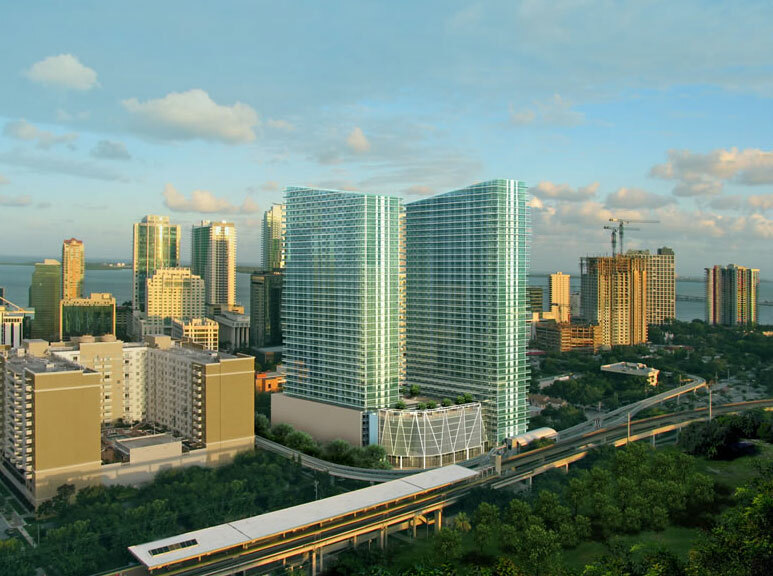 The Brickell area has much to see and explore and that increases exponentially once you take into account Downtown Miami which is also near the Axis South Tower.